But, if Abrams and his team haven’t heard of such material, or don’t show any form of explanation of it (even a quick lightsaber short-circuiting upon impact will do), then perhaps there are other uses for the triple bladed light saber. In really close combat, for instance, having those extra blades where they are could prove exceptionally useful in ways where diagonal blades would not. Perhaps there’s a very logical explanation that we’ve not seen yet. 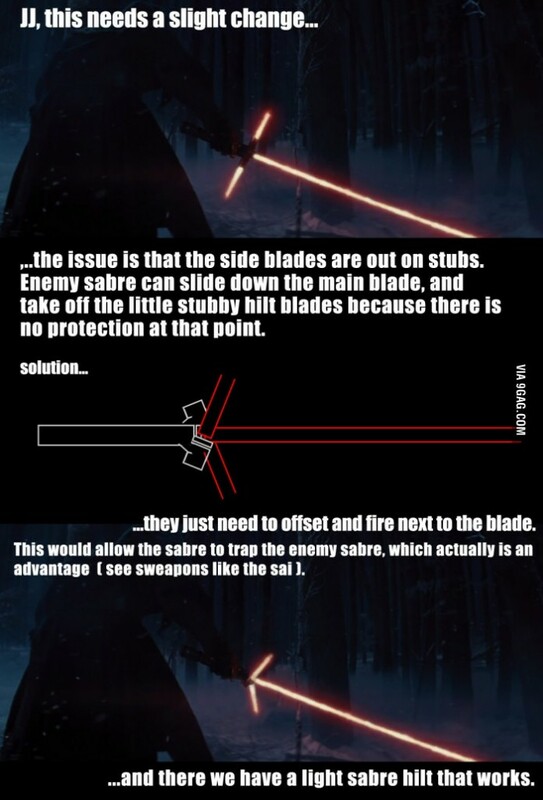 Something practical for why a lightsaber would be built in that manner. All that to say, I don’t have a problem with the design of this lightsaber. I think it’s fine and I’m confident that the movie will show a practical application for the triple blades being at 90 degree angles, where they could be easily cut off. 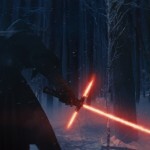 Before this, no one complained about lightsabers having no hilts before. The only reason people are even talking about it now is because one actually does.